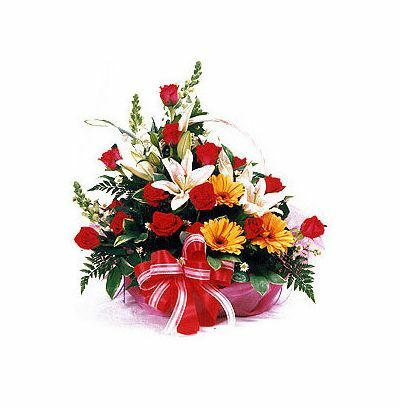 Stunning Beauty Basket is arranged 15 red roses 5 gerberas and 2 white lilys.To Present flowers basket to your loved one on her birthday with each stem reminding of those priceless moments spent together in last years. 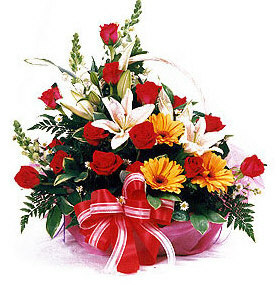 Our florist will customize and send flowers through flower same day delivery. Flower midnight delivery request is accepted in advance if you have something astounding to surprise her that evening. The tastefully decorated rose can bring that rare glitter on her face through our flower home delivery service.